Coast Guard officers, Cmdr. Warren Judge, left, and Capt. Lamont Bazemore, serve on the ECSU Military Affairs committee. Both men are ECSU graduates and have been instrumental in the development and growth of the campus Veterans Center. A ribbon cutting for the center’s new office will be held Tuesday, Dec. 4. Elizabeth City State University’s Military and Veterans Affairs Center has a new home on campus, an indication that the program is growing, according to program director, Tim Freeman. “We are providing a service that makes our military and veteran students know we want them to be here,” said Freeman. Voted Best of the Best by U.S. Veterans Magazine, ECSU has offered veteran military services for some time now, and while a space has existed for the program, Freeman says this is the first truly dedicated office. Located in suite 500 of the Griffin Building, a ribbon cutting ceremony will take place Tuesday, Dec. 4 at 3:30 p.m. The ceremony will include remarks from a number of ECSU officials, as well as greetings by University of North Carolina Board of Governors chair of military and veterans affairs committee, William Webb. Although the office is currently up and running, the ceremony will mark its official opening. Freeman says the office is a space for military and veteran students, and their dependents, to not only find assistance on campus, but also veterans affairs guidance. A representative from the Department of Veterans Affairs in Norfolk, Virginia, frequently comes to campus to work with students, and with members of the military based in the area. 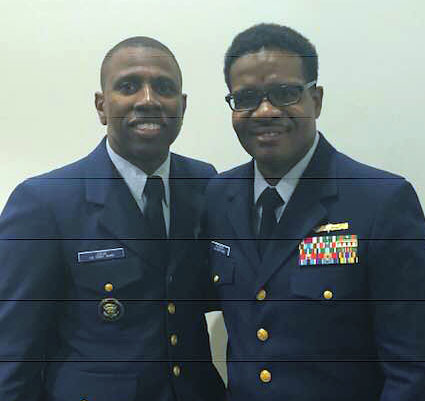 Recently, said Freeman, a representative from the Norfolk office was able to come to campus and meet with two members of the Coast Guard who are poised to retire. The meeting was to guide them through the retirement process, but it also served as an introduction to the ECSU campus in the event those service members choose to stay and enroll as students. 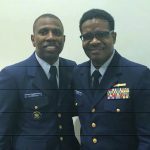 Through a partnership with the Coast Guard, Freeman says ECSU is able to provide service members with services through the campus office. An ECSU military affairs committee, he said, is providing guidance to the program, ensuring that appropriate services are offered to students and outside military members, and veterans. The committee is comprised of active and retired military officers, the majority of which are ECSU graduates. They include Coast Base Elizabeth City executive officer, Cmdr. Warren Judge, Coast Guard Capt. Lamont Bazmore, retired U.S. Marine Col. Randy Bell, and retired U.S. Army Capt. Timothy Rogers, all of whom are ECSU graduates. The new ECSU Veterans Center is outfitted with a lounge, a television, and with four new computers, giving students a place to relax, study and seek military and university related services and guidance, says Freeman. Freeman says as the program and its needs continue to grow, the center office will continue to grow, and possibly seek an even larger space. For now, however, being situated in the Griffin Building, home to ECSU’s Office of Student Affairs, the Veterans Center offers a well-appointed facility to serve the men and women who have served their country.